Here we go with numbers 12 through 10 of my countdown! These TMNT characters are the ones whom I’d really like to see, but they couldn’t quite make the cut of the top contenders. Up first, everyone’s favorite ronin bunny…. 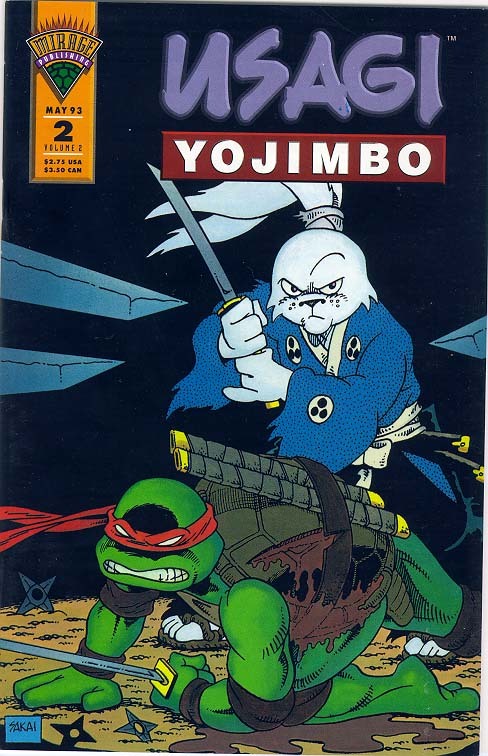 12) Usagi Yojimbo: The samuari rabbit…just how cool of a concept is that? I’ve always loved Usagi, and though he technically doesn’t fit in with the TMNT’s world, in a setting like theirs it isn’t hard to find a way to plug him into a story. My only real concern with Usagi would be the difficulty in differentiating him from Leonardo in his build. How many ways can you represent a sword swing? I’m thinking I would make him stronger and slower than Leo, but it is a question I’d have to consider carefully. Still, he’s a neat character, and it would be fun to see him taking Shredder and co. on in FF. I’d almost have to arrange a one-on-one fight between him and Leo. Likelihood: Fair. Usagi is very popular, but he’s going to require a pretty complex skope. 11) Merdude: Ahh, the inexplicably French merman of the TMNT set…he’s a very strange character, but as a kid he was one of my absolute favorite figures. 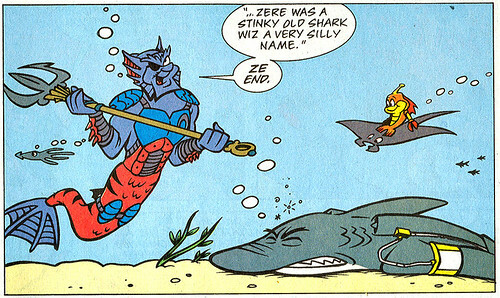 In reading through the Archie comics I’ve come to realize that Merdude is the Submariner to Ray Fillet’s Aquaman. These characters are, in many ways, parodies of their mainstream aquatic counterparts. Still, despite these oddities, I have to say that I still have a soft spot for this ocean dwelling mutant. Likelihood: Almost Impossible. He’d require a really tough skope, if it were possible at all, and he’d only really be usable in aquatic missions. That adds a whole new set of headaches. 10) Metalhead: This robotic turtle would be a great change of pace in terms of villains. I’ve already got the mission he’d premiere in dreamed up, and I think he’d make for some really interesting gameplay. I’d probably make him actually metal material type, and then the Turtles’ weapons would be relatively ineffective against him. Defeating him would require some creative thinking on the player’s part. I remember him from both the show and the classic games…plus, I had his toy at one point in time. I’d love a chance to unleash him on the players! Likelihood: Fair. He’s another one who might be able to use the existing Turtle mesh, but some type of skope and skin are necessary. Alright folks, I hope this is proving interesting to someone out there! Tune in tomorrow for the next step on the countdown!